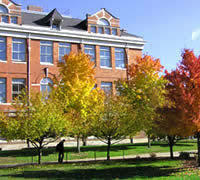 Fall is a wonderful time in a university town. Students return, with all their hustle and bustle and enthusiasm. For those of us who teach, there is the task of getting courses ready, but also the promise that this year we’ll teach just a bit better than last—at this point, all things are possible. I understand the inclination. I always liked getting good grades, too. But I worry about students whose studies appear to be primarily grade-driven. Few of those students mentioned anything they might learn, or how they might use the information acquired. And if the chief goal is to acquire points, how are students—whatever the grade level—likely to approach their studies? Surely not by choosing the challenging or creative way. I think my next writing project is going to be an essay titled, “What’s Wrong with a 4.0?” We know that creativity requires doing something different, taking risks, thinking in new ways. None of those things are likely to happen when we are focused on someone else viewing our efforts as perfect. I had similar thoughts when I read an article by Sydney Chaffee, National Teacher of the Year, in which she described her embarrassment when a reporter visited her class and saw a lesson that didn’t go 100% as planned. But Ms. Chaffee is wise. She ends her essay as follows. We must reject the “super teacher” myth and be brave enough to advocate for what we know to be true about learning: Real learning takes time. It is not always linear. And sometimes, the best learning happens when things don’t go perfectly. In teaching, as in all things, our best and most creative efforts are seldom our neatest or most straightforward. They are certainly not perfect. They are messy and frustrating and exciting and wonderful. So as (at least in my part of the world) we are still in the beginning stages of the school year, let’s aim something other than perfection. Let’s aim for learning, for us and for our students. If we do that, I suspect we’ll have a better shot at creativity as well.